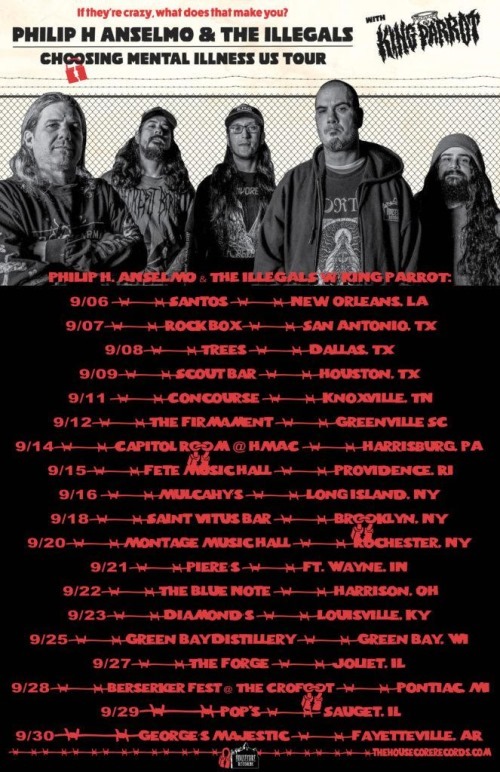 Philip H. Anselmo & The Illegals have announced their rescheduled U.S. tour dates with King Parrot; you can find them below. The trek was previously postponed so frontman Phil Anselmo could recover from back surgery. 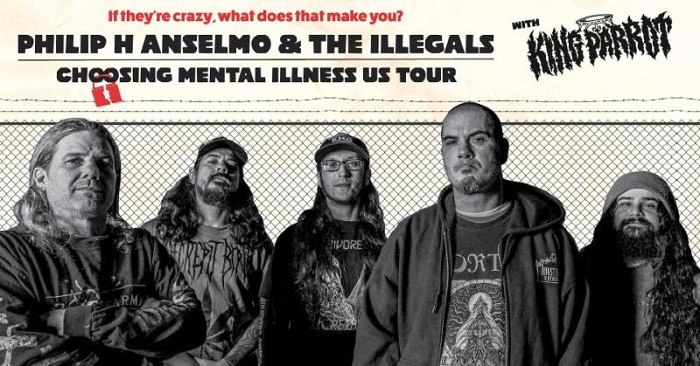 The group have also released a trailer for their upcoming video for “Choosing Mental Illness”. The track is off their new full-length Choosing Mental Illness As A Virtue, released earlier this year on Housecore Records. Copies can be purchased from the label’s webstore and Bandcamp.